Measuring 14.7cm in diameter, the dainty pink bowl is decorated with falangcai (painted enamels combining Chinese and Western techniques) and flowers, including daffodils, which are not typically depicted on Chinese porcelain. It is one of only three known to exist. enemeled porcelain and has not been on the market for more than 30 years. 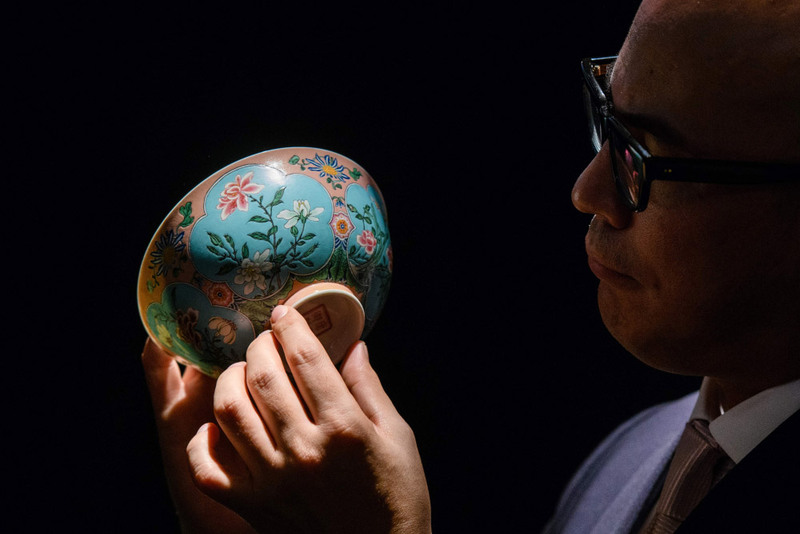 “These Falangcai bowls were made with different colour grounds, and the finest and most sought after is the pink, because of its brightness, brilliance and its beauty”, said Nicolas Chow, Chairman of Sotheby’s Chinese works of art. And, there were only three produced and this is the finest together with its brother in the National Palace Museum in Tapei. 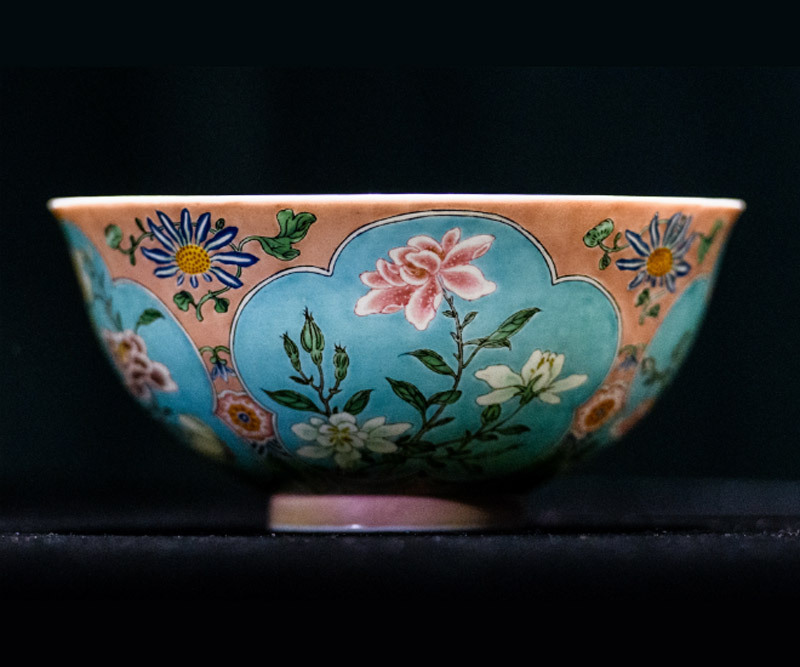 The bowl’s fine art was possibly painted by Jesuits who were resident at the court of the Kamgxi Emperor. He reigned from 1661-1722. 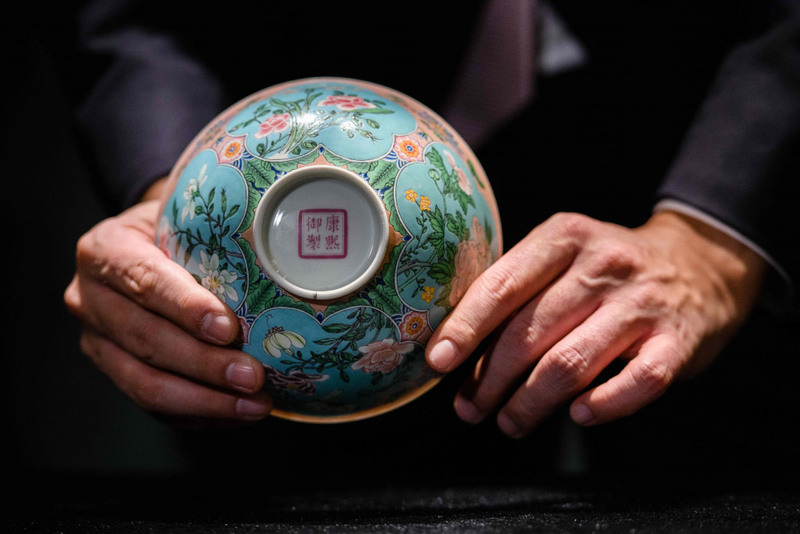 The bowl is part of Sotheby’s Hong Kong Chinese Works of Art Spring Sales 2018.